Detruire: Via APE or AKL-IX. CallPlus have SLA for their Vocus connection and so do Cloudflare (also Vocus customer), better than going thru a best efforts internet exchange point. Vocus on-net traffic likely not charged for both parties - win win. Only better path would be a direct bilateral peering. And back to Aussie again. Perhaps related to the change that was affecting BigPipe? Yes, I think it is related to the Vocus fault. freitasm: Vodafone must be moving something... Or who knows what, because they are now sending Cloudflare requests to Singapore again (150ms) instead of Sydney (45ms). 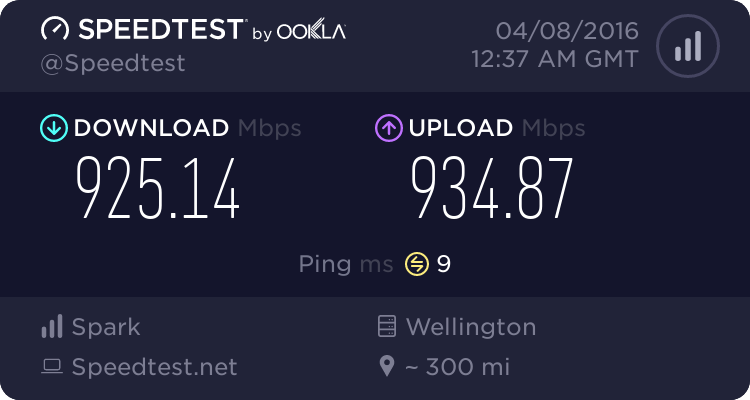 My 10Mbps SNAP DSL connection loads Geekzone (and other sites) faster than my 130Mbps Vodafone cable. Seems only on cable, still routing to Sydney on VF dsl. Are there good reasons why they don't route, etc., the same way? Different contracts, configurations, at different times from different companies (Vodafone, TelstraClear). Anyone know how much traffic cloudflare are looking to push through. I suspect if it was a large enough number then the big boys would be interested. But so far it looks pretty small. Who else (medium/large sites) use Cloudflare in New Zealand? Is there a list somewhere? Ok, found a download with a list of Cloudflare domains (list by a watchdog that tracks those to keep eyes on bad guys hiding behind reverse proxies)... Anyway, they list 1,327 .co.nz domains with Cloudflare and from a quick look around the file, it seems Geekzone is the largest one by miles. Detruire: And back to Aussie again. Perhaps related to the change that was affecting BigPipe? One thing to bare in mind is that although Cloudflare is peered at the Auckland Peering Exchange (APE), an ISP is still required to contact them directly to establish a bilateral peering session to get any of their CDN content. In other words, just because an ISP is on APE doesn't guarantee that their traffic will be going to Cloudflare's Auckland pop. In other news, Orcon is now working. Not much to complain about there! Publius: One thing to bare in mind is that although Cloudflare is peered at the Auckland Peering Exchange (APE), an ISP is still required to contact them directly to establish a bilateral peering session to get any of their CDN content. Ahh, that is why my school's N4L connection doesn't appear to be peering with Cloudflare, even though N4L does peer at APE. N4L's network is completely separate to any Spark network as far as i'm aware, so they are free to peer their IP ranges as they choose. The fact that they did is still quite remarkable. A lot of people doubted it would ever happen, so kudos to N4L.